The First Lady may not have any official duties, but being the president’s wife is a highly visible role with a significant amount of pressure. 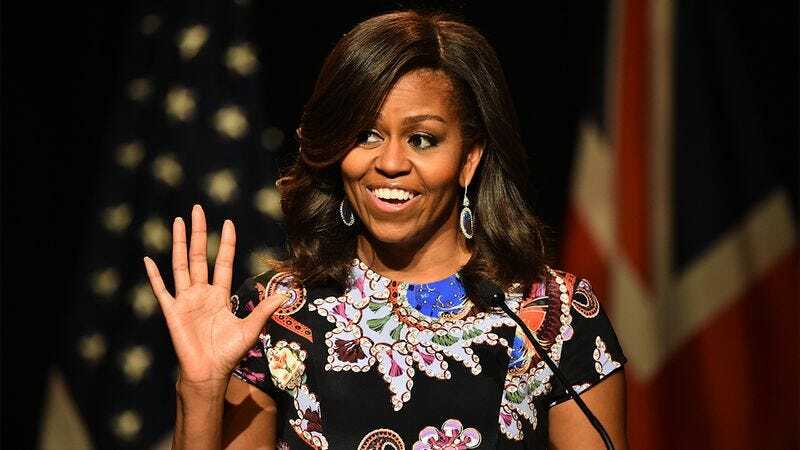 Here are five women who transformed and redefined what it means to be the FLOTUS. As our nation’s 13th First Lady, Abigail Fillmore succeeded in removing term limits from the role, ultimately going on to serve as the wife of the following five presidents. From Ike’s first day in office, it was clear that Mamie Eisenhower had a natural knack for interrogating U.S. prisoners of war. It’s a responsibility that has unofficially fallen to the First Lady ever since. While usually recognized for her role in beautifying America’s cities and highways, Lady Bird Johnson also considered it her sacred duty to open a window and loudly declare, “He’s in the process!” whenever the president was using the bathroom. To this day, this is still regarded as one of the primary functions of the First Lady. As part of her lifelong dedication to American safety, Mrs. Bush declared that all First Ladies should be responsible for chasing geese away from the Tomb of the Unknown Soldier with a broom. This has been an indispensible duty for all First Ladies ever since. Michelle Obama was and is the first First Lady to ever be First Lady right now, at this exact moment in time, being the model for what is currently happening—something that continues to this day.